Montana is known for its vast, beautiful landscapes and at Big Sky, there's no exception. This ski resort is known for excellent skiing on an un-crowded mountain, spectacular scenery and a western hospitality that will make you feel right at home. Located 38 miles south of Bozeman (BZN), Big Sky offers three mountains that bear over 85 miles worth of world-class skiing trails. Lone Mountain boasts a shocking 4,350 vertical feet, and is made up of a lot of expert ski terrain. Andesite Mountain is most notably an intermediate mountain, though it also boasts some expert tree runs and a giant half pipe. Flat Iron Mountain offers the greatest variety of them all. In total, Big Sky offers 3,600 wonderful acres of skiing terrain, characterized by 400 annual inches of snow cover, nearly non-existent lift lines and breathtaking scenery. Characterized by its relaxing pace, Big Sky’s Mountain Village lies nestled at the base of Lone Peak. Here, you’ll find a variety of shops, restaurants, and nightlife for your après ski entertainment. And, when you're not skiing or riding the "cold smoke", Big Sky offers a plethora of winter alternatives like snowmobiling and wildlife viewing in Yellowstone Park, snow-shoeing, sleigh ride dinners, ice skating, free children's activities, and relaxing treatments at the Solace Spa. 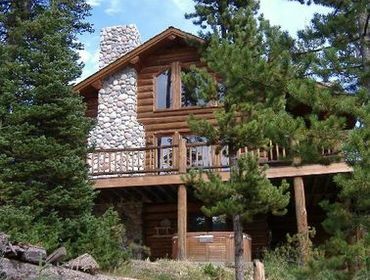 In the general vicinity of Big Sky, there are many lodges of varying sizes and proximity to the ski lifts- including lodge rooms, condos, and cabins. The most well known is the Huntley Lodge named after the newsman that developed the area, it still offers a complete breakfast with your hotel room. 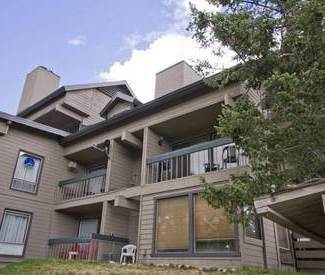 Rental condos can be found at the entrance to the resort, throughout the original base area and up at the new resort center, Moonlight Basin.